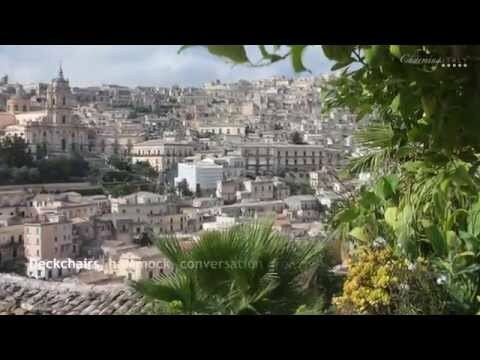 The island of Capri in southern Italy’s beautiful region of Campania is famous for its outstanding beauty—from its panoramic vistas of the Mediterranean Sea to its distinctive architectural style. Take a break from shopping in Capri’s world-class boutiques to visit one of its most beautiful churches. Capri’s lively Piazza Umberto I, known as La Piazzetta, is the one of the most animated and colourful spots on the island. 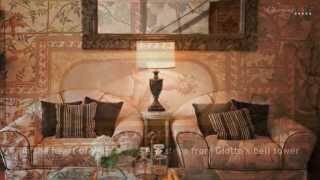 The elegant cafés lining the Piazzetta have always been the place to see and be seen for the fashionable crowd. 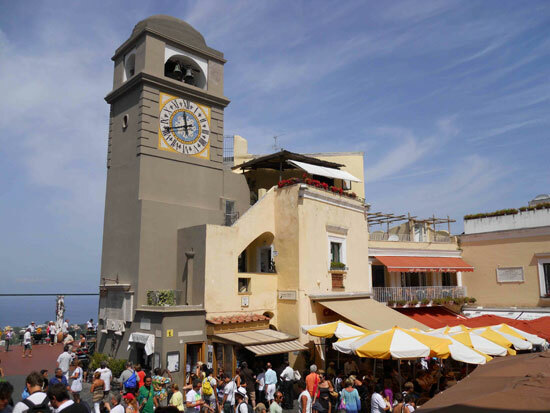 Just steps from the funicular connecting the port of Marina Grande to Capri town, the Piazzetta and its charming bell tower welcome countless visitors to Campania’s Island of Capri every year. 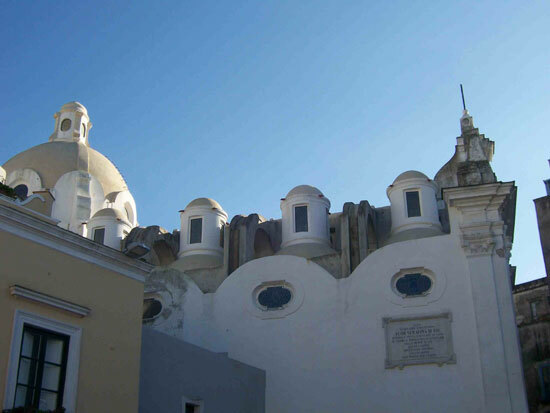 If you’re hurrying through the Piazzetta of Capri you might just miss the intriguing exterior of the Santo Stefano Church, built in the 17th century, which forms one of the pretty backdrops for the piazza. It's a striking view to see the large white dome standing out beautifully against the blue sky on a sunny day on Capri. 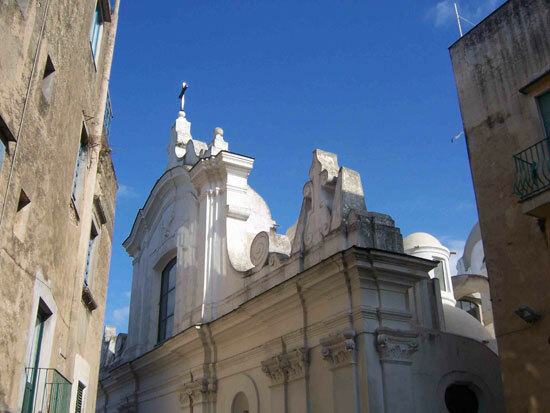 Along the roof you'll also spot a series of small cupolas, which are one of the most distinctive features of the Santo Stefano Church. The church was designed by the Neapolitan architect Francesco Antonio Picchiatti (1619-1694), but these unique cupolas are credited to the work of Marziano Desiderio, a master builder from Amalfi. Climbing a small flight of stairs, often filled with pretty floral displays, the façade of the Santo Stefano Church is squeezed into a narrow street. The small space intensifies the feeling of standing before the white façade, with its characteristic Baroque grandeur and decorations. Stepping inside the peaceful church, it suddenly feels like you’re miles away from the bustling life of the Piazzetta. The series of progressive cupolas along the side aisles, which are so evident from the exterior, fill the church with the warm glow of the Capri sun. 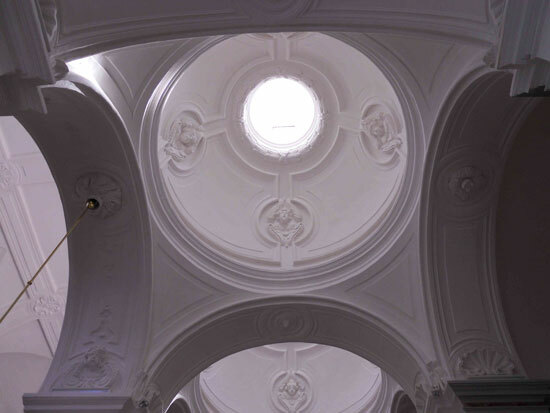 The simplicity and beauty of the interior of Santo Stefano is characteristic of the refined Baroque style you’ll find in many churches on the island. Walking down the side aisles, you’ll find elegantly decorated chapels to explore. The arches along the nave contain graceful glass chandeliers, which catch the light filtered through the lofty central dome. Don’t miss the inlaid marble floor surrounding the main altar, which includes fragments from the Roman Emperor Tiberius’ imperial Villa Jovis located in one of the most picturesque overlooks on Capri. In the large chapel just to the right of the main altar, look for the tombs of the 14th century aristrocrat Giacomo Arcucci and his nephew Vincenzo Arcucci, both designed by the scupltor Michelangelo Naccherino (1550-1622). Giacomo Arccuci was the founder of the beautiful Certosa of San Giacomo on Capri, which is only a short walk from the Santo Stefano church. 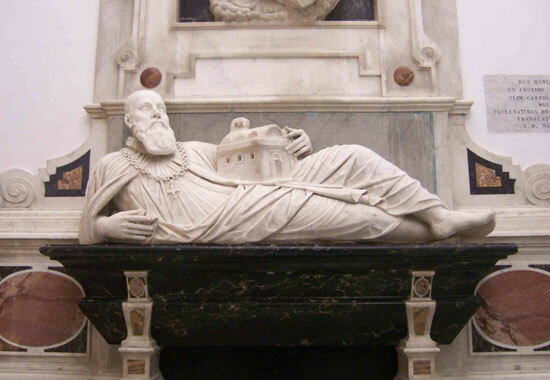 You'll be able to spot his tomb since he's depicted reclining and holding a design of the Certosa, which was created with his generosity. After a serene escape into Capri’s beautiful Santo Stefano Church, you’ll be ready to return to the Piazzetta and explore the town’s charming streets, tempting boutiques and stunning natural beauty. 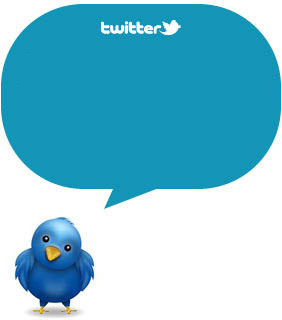 If you love Italy and Campania region, subscribe to our RSS and follow us on Twitter and Facebook !